Gary, Ind. 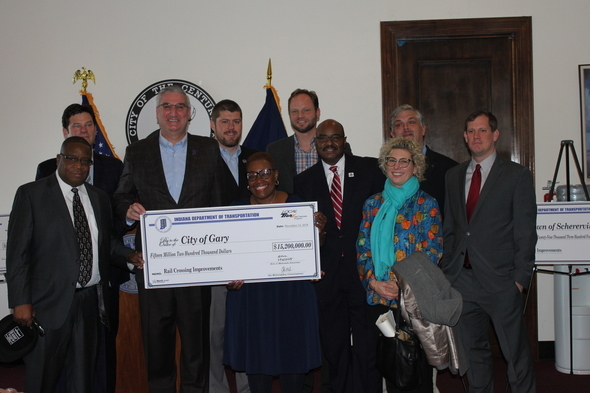 – Governor Eric J. Holcomb, Indiana Department of Transportation Commissioner Joe McGuinness, railroad industry leaders and local officials gathered today in Gary to announce the awarding of more than $121 million in one-time, state matching funds for rail crossing safety improvements through INDOT’s Local Trax matching grant. 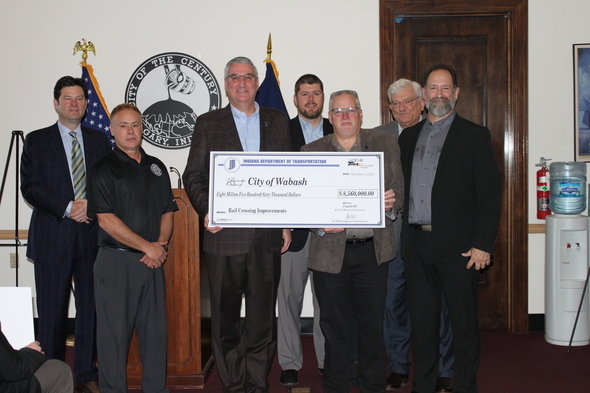 Launched earlier this year, Local Trax provides funds for Indiana cities, towns and counties to competitively pursue high-priority railroad grade separations, crossing closures and other safety enhancements at railroad intersections with local roads. 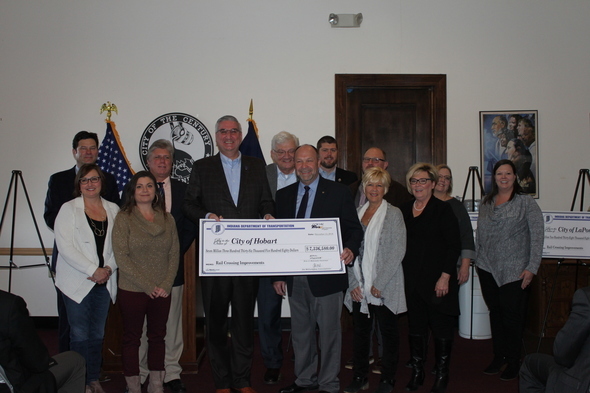 The program requires local governments to provide only 20 percent of funding for land acquisition and construction, with the state providing the other 80 percent. 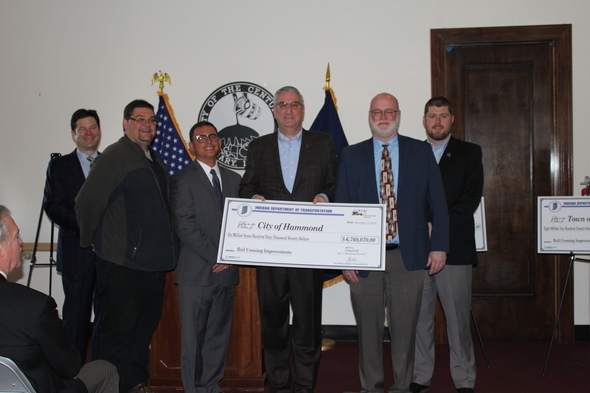 INDOT will fund and manage design and environmental work, as well as provide project management through design delivery, contract letting, construction and inspection. 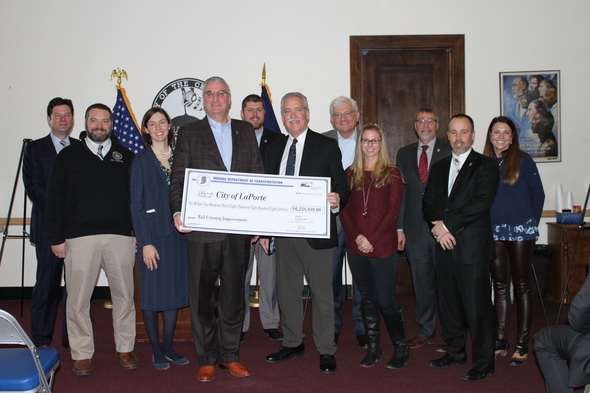 Beyond funds provided by the state and local communities, Norfolk Southern Railway, CSX Transportation and Canadian National are investing a combined nearly $10 million to deliver these local projects. Bridge over Norfolk Southern 800 feet E of Parrish Ave., 600 feet N of 173rd St.
Tipton St. to Park St. between State St. and Furnace St.
Near intersection of N. 13th St. and 8th Ave.
Mill Rd. approx. 650 feet W of Kratzville Rd. 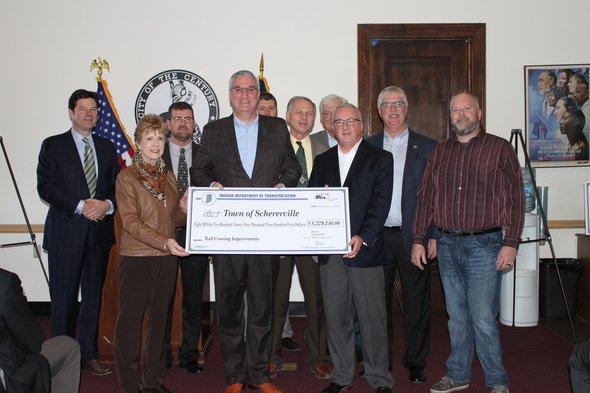 N. East St. over the Norfolk Southern Railroad near E. Hill St.
Funding authorization for Local Trax was granted in HEA1002-2017, the long-term, sustainable road funding plan passed by the Indiana General Assembly and signed by Governor Holcomb in April 2017. More information about Local Trax is online at www.in.gov/indot/2390.htm.